We are hiring!!! Fun & good memories to last a lifetime! Ambassador: You’ll be the face of our pubs and will share our story through impeccable service delivery and beverage preparation. Decorator: You’ll maintain the aesthetics of the pubs and assist with decking us up and making us look shiny and pretty for the many events we host through the year. Therapist/Wingman or woman: You’ve probably watched “How I Met Your Mother” and that’s pretty much what it’s like at Muddy Murphy’s everyday. People from all walks of life coming together and hanging out, looking to have a good time. You have to want this. Customer service takes passion and it’s something we pride ourselves on. The hats we mentioned? You’ll need to be comfortable constantly switching between them. Killer dance moves. Kidding, we’d love it if you have some F&B experience. 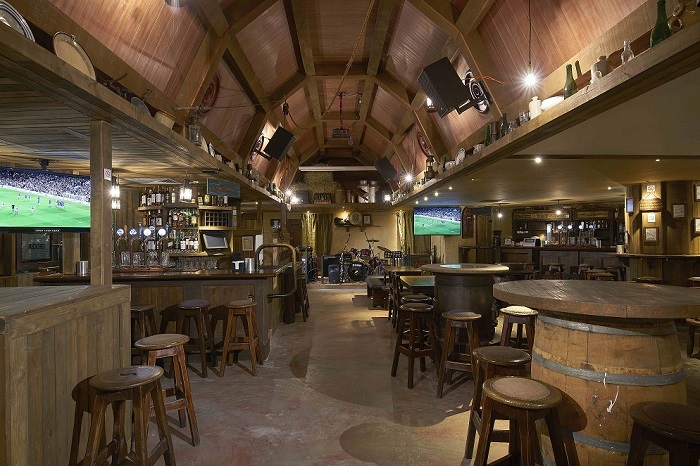 It is testimony to the strength of the Irish Pub concept that Muddy Murphy's is one of the oldest traditional pubs in Singapore. The success of "Muddy's" is driven by having achieved that delicate balance between tuning in to the needs of local and foreign clientèle whilst retaining an essentially Irish atmosphere.